One of the best ways to get ideas for your rehearsal dinner is to look at what others have done. 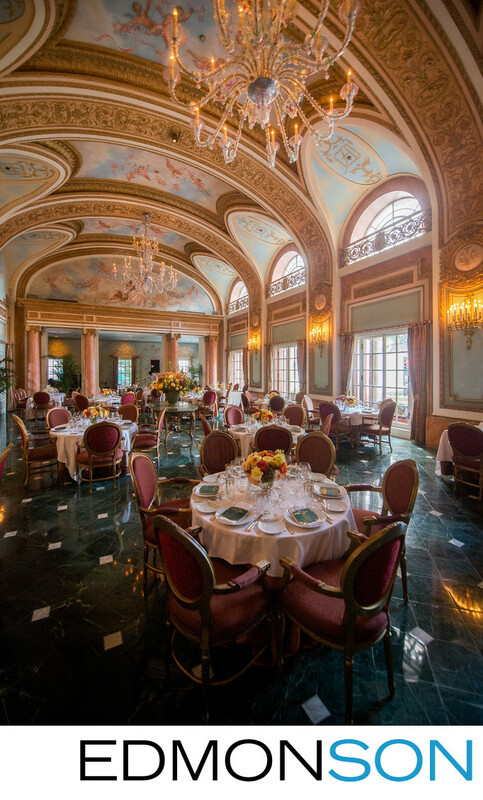 This photo taken at the Adolphus French Room in Dallas, TX shows the emerald green menu cards with gold foil leaf, stemware, silverware, flowers and more. 1/60; f/3.2; ISO 3200; 14.0 mm.